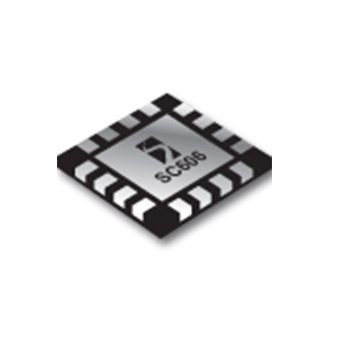 The SC606 is a very high efficiency charge pump white/color LED driver from the mAhXLife™ family of products. It is optimized for Li-Ion battery applications. 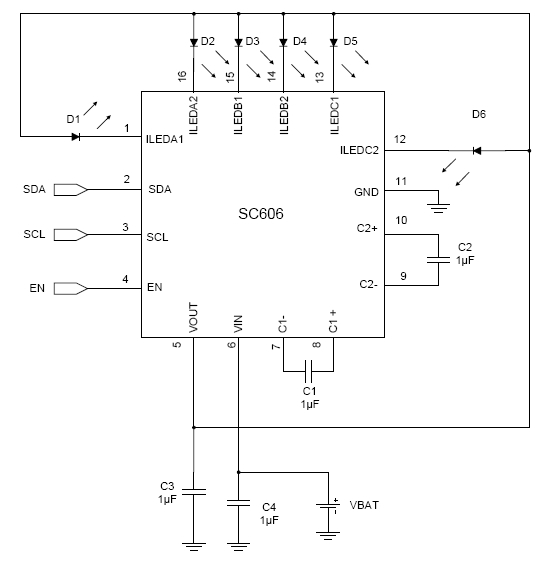 The LED current is regulated to a value configured by the user through an I2C compatible serial interface.